Misterall is an hand made typeface created by Bartek Nowak and published by GRIN3 (Nowak) that each letter has two variations. You’ll find ligatures, language support and it is recommanded for invitations, posters, books, menus, headlines etc. 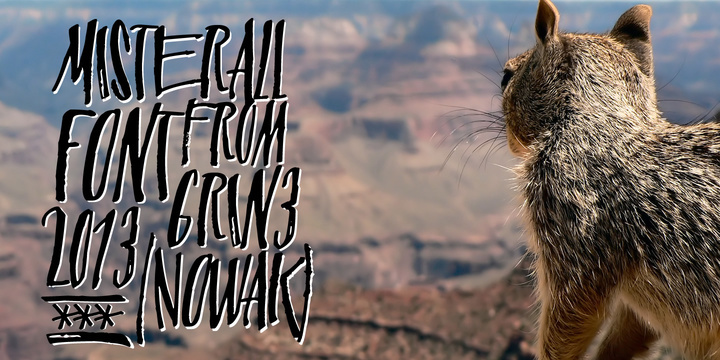 A font description published on Monday, December 16th, 2013 in Fonts, GRIN3 (Nowak) by Alexandra that has 2,977 views.